The master metalsmith and renowned sculptor Albert Paley made this silver teapot when he was a graduate student at Tyler School of Art in Philadelphia. Paley’s contemporary design was produced using the traditional silversmithing techiques of raising and fabricating. 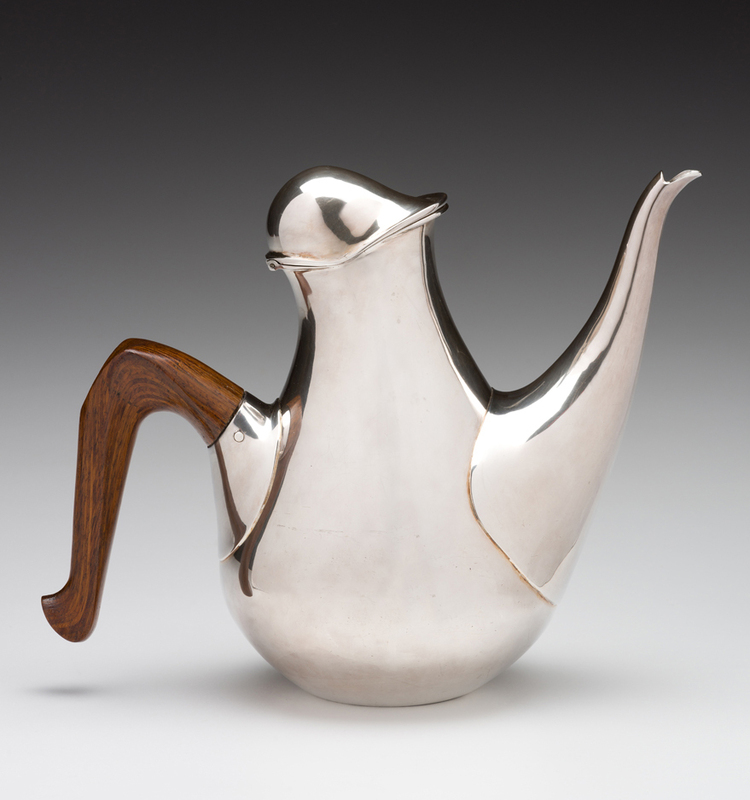 This teapot won an award in the Sterling Silversmiths Guild of America annual competition for students. You can read more about Albert Paley on our blog post.